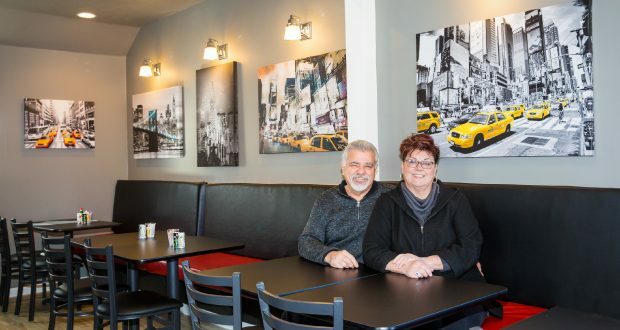 “The first question everyone asks us is…what part of New York are you from?” says Geri Delia, owner of On a Roll Deli, with her husband Tony. “We are not New Yorkers,” admits Geri, though “Tony has family that lives in Buffalo, N.Y.” Geri and Tony are from Southern California. A graduate of California Culinary Academy at San Francisco, Tony decided to follow his life-long passion for cooking and change his career path after he sustained an injury to his knee and could no longer work in the construction industry. 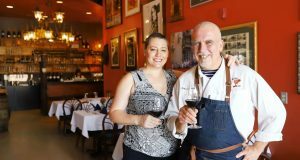 Tony and Geri owned and operated two restaurants in California’s Central Valley, where they lived for 14 years. In 2004, they returned to Southern California, where Tony worked as a chef for The Four Season’s Hotel. He started his own catering company in Carlsbad after working for three years in a corporate environment. But they did not retire as they had planned. On a Roll Deli opened on March 3. “We decided to open the deli because we discovered that even though we are getting older, we were still young enough that we needed something to do to keep us interested and busy. Eagle didn’t have anything like this and we felt it would be welcomed and a good fit,” says Geri. 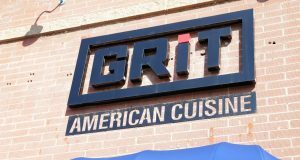 “We initially planned on being open only Monday to Friday to service the downtown Eagle working force and give them an additional option to all the other great food establishments downtown Eagle has to offer. However after the first days of operating Monday to Friday, our Facebook page blew up with requests from locals to be open on the weekend and later than 2:00 pm, so we listened and changed our hours to Tuesday to Saturday with operating hours of 8:00 am to 4:00 pm,” shares Geri. On a Roll doesn’t own a freezer. Everything is made fresh. 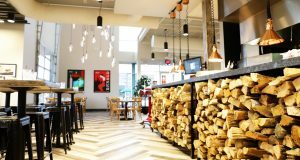 They use real brisket to make their pastrami, corned beef, and smoked brisket. The most popular items are the pastrami and corned beef—a taste of New York via California in downtown Eagle.